Our Fab Fash Life: My Ocean City MD Trip! Hey guys I want to share some of the beautiful image from our little Ocean City trip this past weekend. It's a little Ocean side town in Maryland that I spent many summer weekends at as a kid. It's only a 3hr drive from my house and this time of year it's half closed because it's off season, which always means we have the whole beach and boardwalk to ourselves. I really loved the morning sunrises over the water, with the seagulls flying around. It really is more than stunning view with such a relaxing soundtrack of the waves crashing in on the beach all day and night. 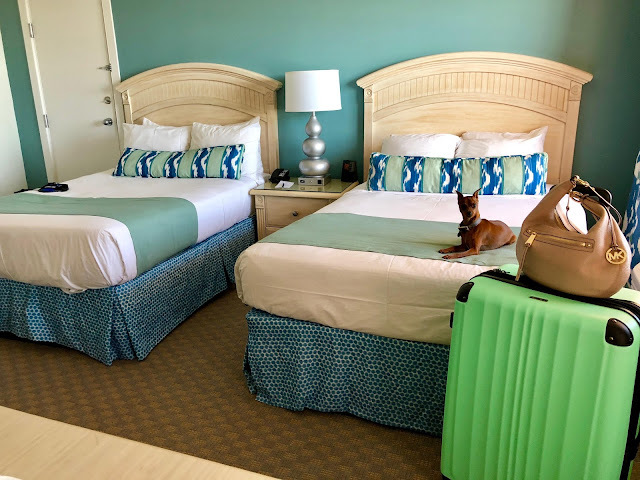 We stayed at the Dunes Manor Hotel as we always do, the rooms are clean and roomy with an ocean view, not to mention the staff is always amazing. 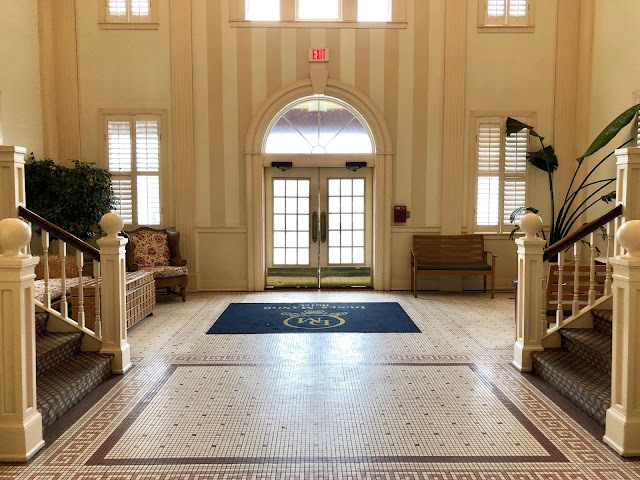 The one thing I love about the Dunes is every time I walk into the lobby/hotel no matter when it always smells so good. Then have a huge room where you can hang out and relax, have a few drinks and listen to some music being played on the piano. They also have an in-house restaurant, and a huge back deck that faces the ocean. All the times we stayed there I have never had an problem, and they've never given issues about brining a service dog. As you can see there s a bright fresh vibe all throughout the hotel, which is just what I'm looking for because I'm one of those people that hates sleeping anywhere but my own bed. I guess it's the idea that other people slept there before me, so it helps when they're on top of the whole cleaning situation. After we checked in to the hotel and got settled, we went out and ventured around to see what was going on, but like I said it's off season so only a few all year round spots where still open. We walked the beach, checked out a few stores and grabbed some caramel popcorn from Dolle's. It's an amazing little candy spot that's been there as long as I can remember, they have the most amazing caramel popcorn. We had some boardwalk pizza and Rob retreated back to the room for a nap, seems the 3.5 hour drive left him tad sleepy, so I took the time to get in some me time. I pulled out my beach blanket and enjoyed some Natty Bo, Crab Shack Shandy on the beach just enjoying the waves, it was so relaxing!! The first night we ate at a restaurant called Touch Of Italy, it's a little Italian joint that turned out to be pretty darn good. I had ravioli and Rob got the salmon. They had cases of all kinds of yummy stuff, but you know it was the sweet that caught my eye...lol...because everything was so colorful and beautiful. As you can see Piper more than helped me make my selection, she's always front and center when food is involved. The 2nd day was much like the 1st, a lot of walking around and just relaxing. We stopped into BJ's On The Beach to meet my mom for lunch, she lives just outside of Ocean City so she drove up for a bit so we could get together. All in all it was just a quick 2 night stay to escape the everyday grind and recharge, I think these little trips are super important and definitely a must. Otherwise I fear I would go koockoo...lol! 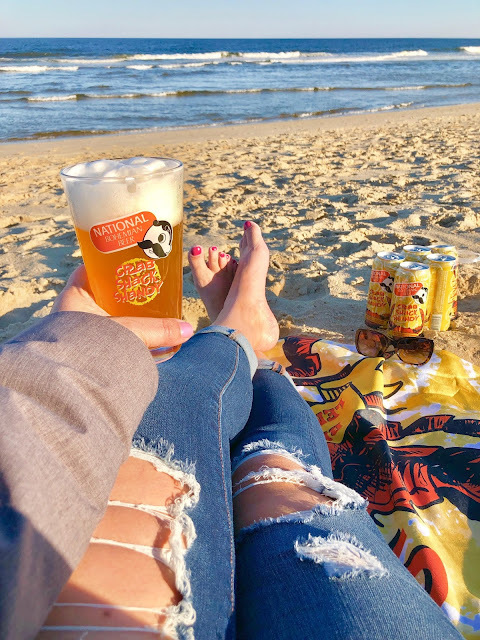 Have you ever been to Ocean City MD? 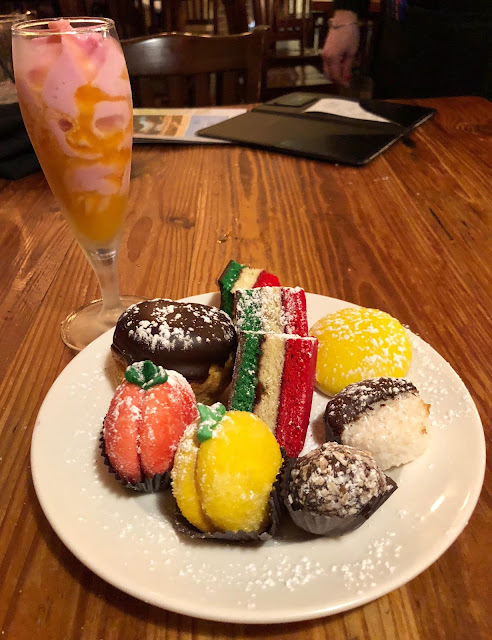 If so whats your favorite thing to do while you're there or favorite place to eat? We plan to go back soon once the season starts and everything opens up, so I would love to hear your ideas and faves!! Yeah don't feel bad me to...I had the account forever and just recently really started to utilize it....It's so much different that say FB or IG...It's cool in it's own Twitter way....lol! I want to win this contest! I am completely confused by Twitter as well! Looks like an interesting site! Nice post of photos, how great that you can bring your service dog with you! Would love to win this contest! I wonder how many people were there since it was off season ? What a great mini advent. I love Ocean city Maryland and their delicious board walk fries with vinegar! Yahh Tractor Supply is amazing!! They have some great sales too, I save a ton of money getting Piper's food there! I live in Delaware, so I've been to Ocean City hundreds, practically lived there in the summers while I was growing up. Great beaches and rides for the kids in the summer. That's awesome to hear because my mom lives in Delaware also. I find myself visiting her a lot so I'm in DE a ton....and it always leads to OC!! It's a ton of fun and yes so many great rides. The best memories growing up for sure!! OK! I am going this summer! I love the view of the sunset! I've never been to Maryland. The farthest I've been on the east coast is Washington, DC. My dream prize would be a gift card to a home renovation or home store so that I can redo my bathroom and kitchen! Ahhhh renovations that would be amazing...I'm in the middle of doing my master and kitchen and oooooh is it a pricey proposition so I agree it would be an amazing choice!! Thats a good one! DC...that's about 45mins from my house, we're in DC a lot for work, it's a awesome spot!! Just moved away from Maryland - how great to be transported back! My family is from Baltimore, love ocean city! I REALLY MUST GO THERE IT LOOKS FUN! Wow! That photo of the sunset in Ocean City, Maryland is absolutely gorgeous. I have never been there before, but would love to go. I live in North Carolina and have always gone to Myrtle Beach, South Carolina or one of the many North Carolina beaches. Dream prize cash or a great vacuum cleaner! I would love to win and love winning. Thanks a million. This is new for me...but looks like fun! Great page and thanks for doing this. That's a beautiful pic of the beach! It's so stunning ....esp in the off season like this because then we have it all to ourselves!! There's no such thing as an ugly sunrise or sunset that's for sure!! OMG I am so in love with your pics ~ they have me dreaming of breaking out my DSLR and taking a trip to just take pics of sunsets and beautiful things. I love your puppy too. Piper is my moms cats name LOL love it. Ahhhh that's one thing I love doing. I hope to go to a beautiful spot for Rob and I's 10yr anniversary this year in December,,,I told Rob it has to be beautiful so I can take lots of pictures...lol!! Ahh Haa...that's an awesome choice and thanks for the laugh...lol!! Good luck on winning Carol! NOT KNOW WHY TWITTER SUSPENDED ME AND HELL GETTING BACK! THANKS A LOT TWITTER! Uhhhhh Twitter can be super annoying!! You're more than welcome, thanks for following! s easy winning here but you need ALLOOOOOOOT OF PATIENCE!! Definitely just discovered a blog I'll be coming back to!!! I really enjoy you photograpy. Ocean City is a tradition in our family to visit every year since we where children. Thanks for this wonderful giveaway treat! :D The new MacBook will be such a good help to build my instagram, with new creatives and travel pics. Also the cash prize, so much goodies to buy, if ever! I'm a newbie so I'm just getting started ... I'm an "Old Dog" learning new tricks! LOL! Love your photos. Would love you to have a 'Birdbath & Feeder" giveaway in the Spring - Summer Season. Something different. I LOVE THE VIEW! HURRY TO SHOW MORE PICS! Hope you enjoyed your stay in Ocean City. I am from MD & for whatever unknown reason NEVER made it up there until last summer. I need to go back & really do some sight seeing. What do I want to win more than any? what to choose! I would love to win anything! Thanks for the opportunity! This is a great blog and very informative with great photos! 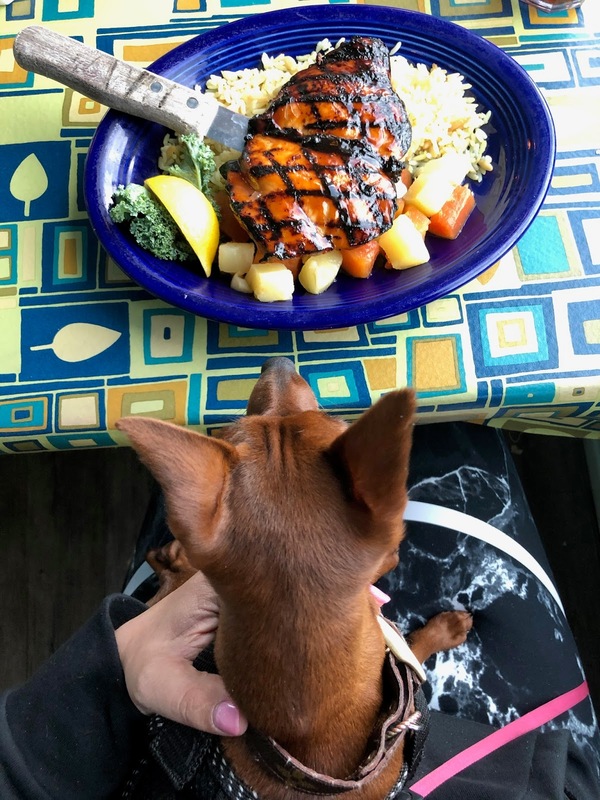 Our favorite restaurant in OCMD is Bayside Skillet for breakfast. The Crab Omelet is my husband's choice and I always go for the Seafood Crepes. It is pricey but you can easily take half your food with you if you choose or share a meal between two people. There must be a less time consuming way to verify that I shared this contest on Twitter. After I tweet that box disappears so quickly that I do not have time to click on it to get the URL for the form. I have to open Twitter, go find my tweet, click on it, then copy the URL, come back to this page and paste it in. Looking at your ice cream, I can not wait to have one on the beach when the weather gets warmer. This has been some crazy weather. What a beautiful sunrise! One of my favourite things to do is walk in my local park around sunsetting time - it's so calming, plus it's great fresh air! A great weekend get away. 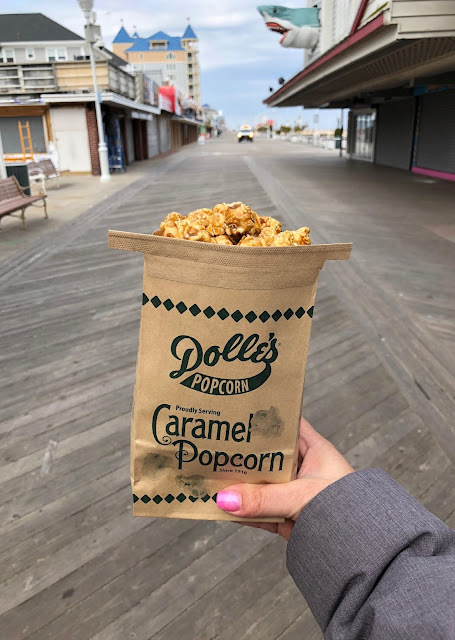 I especially crave some Dolle’s Caramel Popcorn. I love the pier for food and fun. And I love the beauriful relaxing beach. I love the Ocean City vibe. 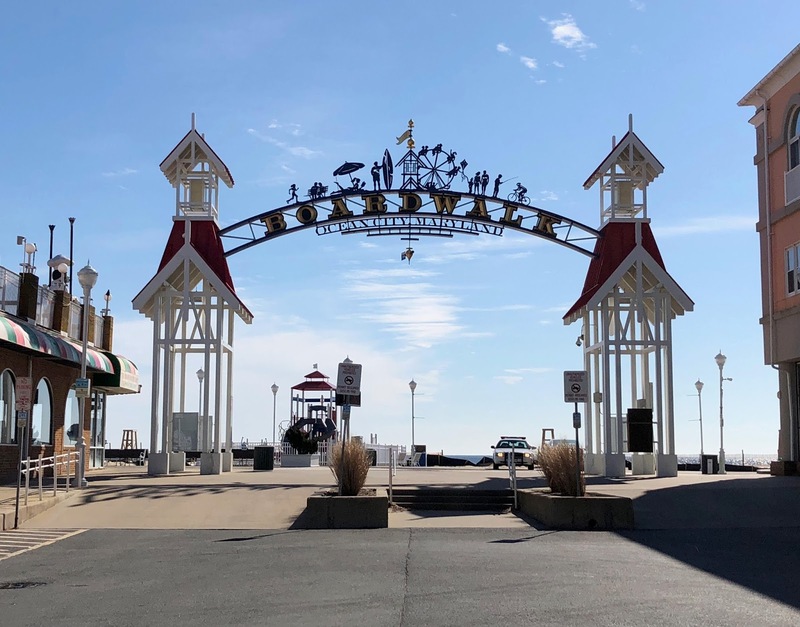 There’s lot to do on the boardwalk and a beautiful beach to relax on. I love the retro beach feel of your hotel and the great view of the beach. Your pictures at the beach look amazing! I love that you post about the food and drinks you try! Its the best part of travelling! Really amazing and fabulous giveaways. When I was a teenager I had a date in OC that was horrible! I ended up waiting 6 hours by the boardwalk waiting for a ride home! I did manage to keep myself busy while I waited! Still have the boots I bought that day! I can smell the sea! What a beautiful beach sunrise! They must be more pet friendly in Maryland. I've never been northeast (I will someday). When I go somewhere it's mostly next door to Louisiana (which isn't very pet friendly at least where I visit). This looks like a nice place. The off season must have made taking these shots much easier. Thanks for sharing. I would love to visit someday. It looks so relaxing! I’d go off season too! Used to go there every summer for the last full week in June with extended family - it's probably not still there and the only thing I remember was that it was Hershey's brand but that place on the boardwalk was *the best* strawberry ice cream. Also, bike rentals on the weekend to ride up and down the boardwalk. How's the sea shelling these days? Thx for the little bit o' memory lane! When I go back to OC, I need to test out that popcorn. This piece is making me so hungry today!! 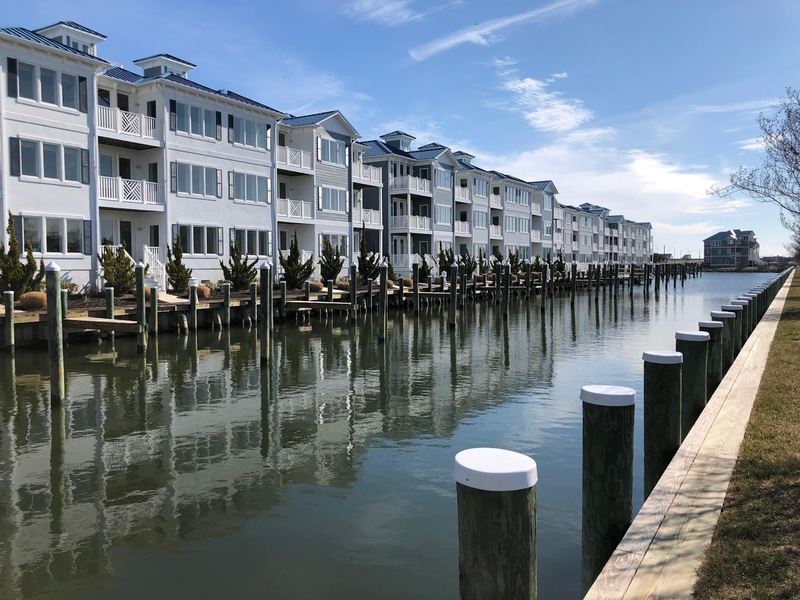 Ocean City looks like a great, quiet place to be this time of year! What a nice trip. Love to go there. Your travel post is wonderful. I love the beautiful scenery. What I really really love is looking at all the yummy food. My mouth is watering after looking at so much deliciousness. This reminds me of my trip to Kennebunkport, Maine. I'd also highly recommend it! What a beautiful place . Would love to visit one day . Looks like an amazing trip . We love Ocean City, especially in the off season. Ocean City looks beautiful, I'd love to visit! Wow its beautful.There .The food looks amazing I liked the dog too.I know you all walked a lot but i would be very romantic there. 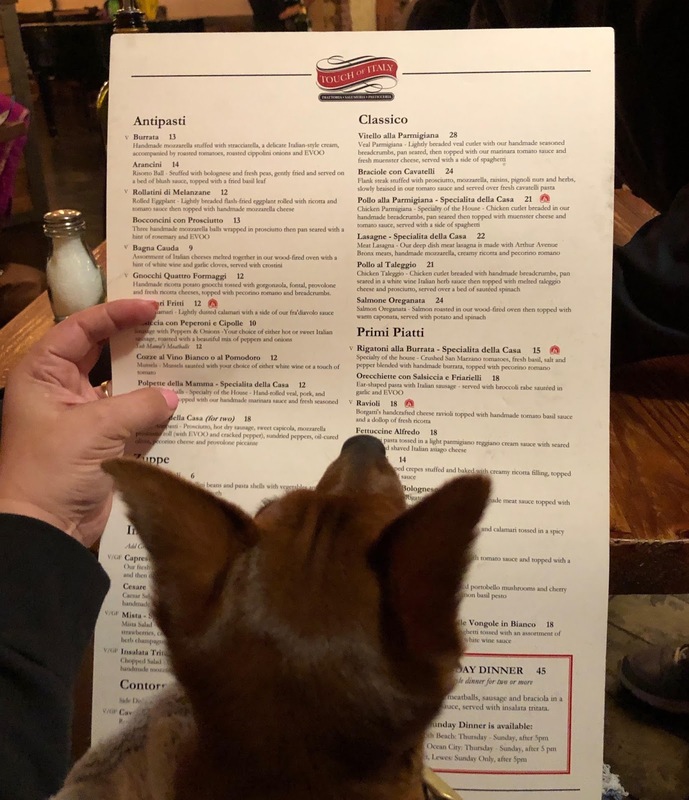 So what did Pip order from the menu? Ocean City, MD is such a beautiful place. I would really love to visit Ocean city but I wouldn't be able to leave my 2 dogs! I briefly lived in Maryland and for a few years in Virginia, but have not been to Ocean City. Been to many beaches on the east coast all the way down to the most southern point of USA! It’s such a beautiful place! I would love to visit there someday. The food looks good too! I love the Dunes hotel lobby. It has that nostalgic beach hotel feel. Have you ever been to a clam bake? 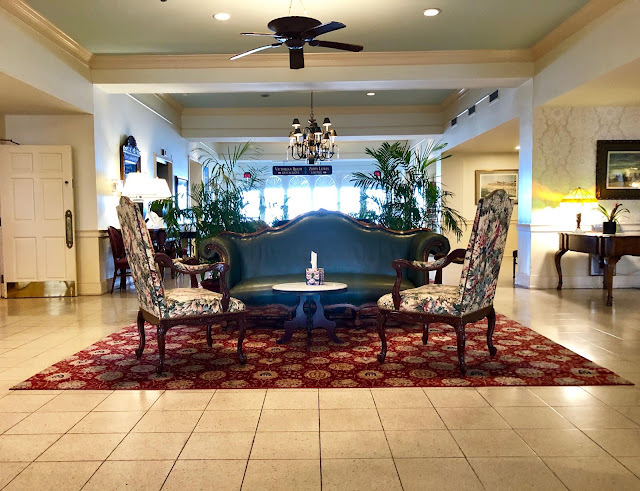 I am dreaming of a trip to Ocean City to experience the ambiance of the hotel, the pristine beach and the wonders of the boardwalk. I would love to go to Ocean City it looks so awesome to visit! 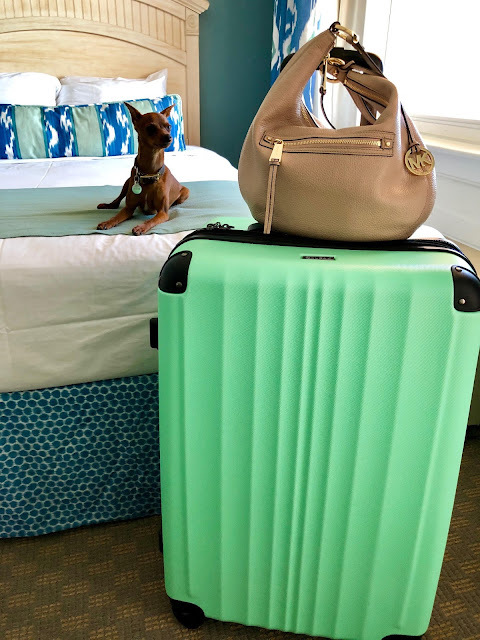 I love your fluorescent green luggage. It’s a cool color and easy to spot. Cute dog and that looks like a great vacation. Ocean City is such a great place, we try to get there as much as possible. Thanks for sharing. I grew up in Maryland, so I've been to OC dozens of times. I miss Dumpser's Dairy. I haven't been there for decades. Thanks for posting! I've never been to Maryland but would love to visit some day. What a wonderfully, relaxing-looking vacation! I love the view from the balcony! You took some awesome pictures. I woukd love ro visit Ocean City one day. Anyplace that has an ocean,I'm in! I have never been to Ocean City but I heard it is AMAZING! It looks like you had a wonderful time!! Thanks for sharing. What an amazing vacation! I haven’t three kids under three and haven’t been on a vacation in a long time. I’d love to visit Maryland! That sounds like a wonderful trip! I have never had the opportunity to travel to the East Coast. Did you get any Thrashers French Fries? (I grew up just 20 miles from Ocean City, Maryland) Loved the Boardwalk as a child! 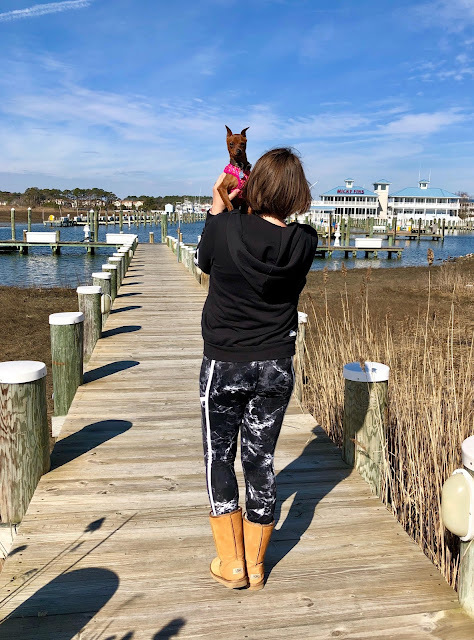 Thanks for sharing about your Ocean City, Maryland trip. It looks like a beautiful town! I live in Michigan and I would love to get away to get any where near an Ocean just once I think I'm the only person who hasn't been to the Ocean. your pictures are so clear and really can see a lot of detail. It looks like you had so much fun and truly enjoyed every minute of it. I grew up in Toronto and loved running on the boardwalk as teen. Ocean City Maryland is now on my bucket list after seeing this post. Thanks so much for sharing. what stunning views. hopefully I can get there someday. That hotel you went to looks incredibly fancy. 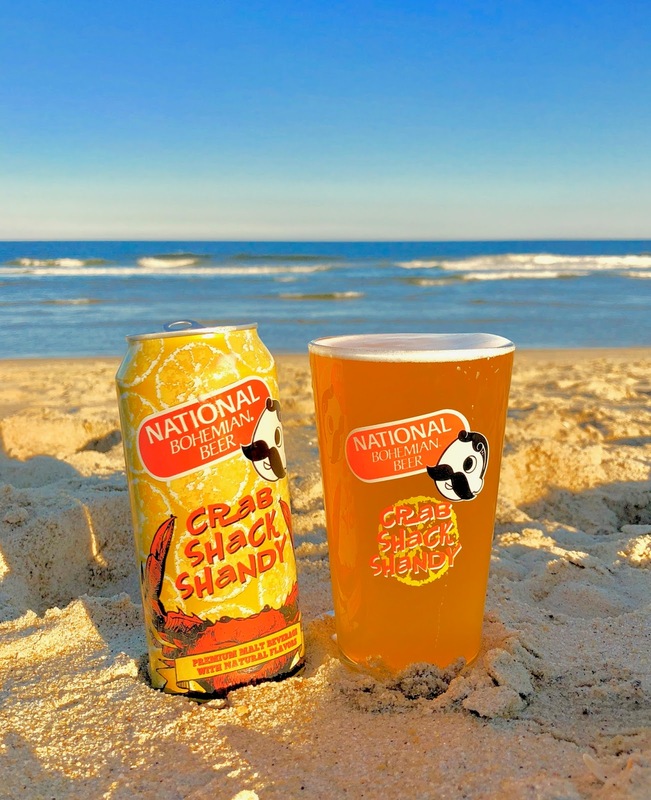 Nothing is better than a drink on the beach! The hotel is so nice and beautiful, so fancy, and the place is awesome, luv it! Looks like an awesome spot. The hotel looked nice and classy too. And I love those jeans you’re wearing in the picture at the beach. I love your travel blogs. And your pictures with Piper. That looks like fun your so lucky. Looks like a fantastic place to visit. I'm so ready for a vacation. wow looks amazing. I have not had any kind of getaway in 5 years. The pics are beautiful! I also live a 3hr. drive from Ocean City! I go every year and never get sick of it. There's always a ton of great unknown restaurants to find and great scenery!